Hardcover, 9.5 in. by 12 in. Winner of the Nicholas-Joseph Cugnot Award for 2009! 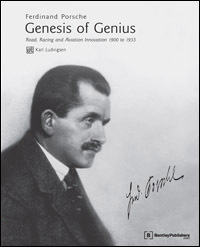 In Ferdinand Porsche - Genesis of Genius, author Karl Ludvigsen reveals a dynamic young innovator who helped to chart the course of the automobile through the first decades of the twentieth century. As early as 1900, at the age of 25, Ferdinand Porsche pioneered hybrid technology to power his automobile designs. Once gasoline gained dominance as the power-source of choice, Porsche became relentless in his goal to design the fastest and most durable automobiles in Europe. Porsches engineering brilliance did not stop at the automobile. 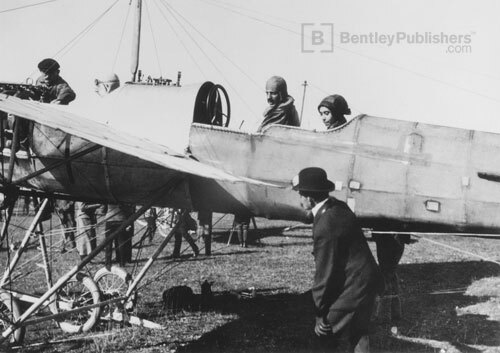 He also made significant contributions to the early development of airplane engines and military transport vehicles. And in addition to his hands-on style of engineering, Ferdinand Porsche was a tireless managing executive in the automotive industry. 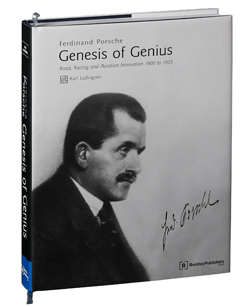 Ferdinand Porsche - Genesis of Genius explores in depth the unique combination of ambition, determination and genius that were the genesis of an automotive dynasty which has continued to thrive and expand for over a century. 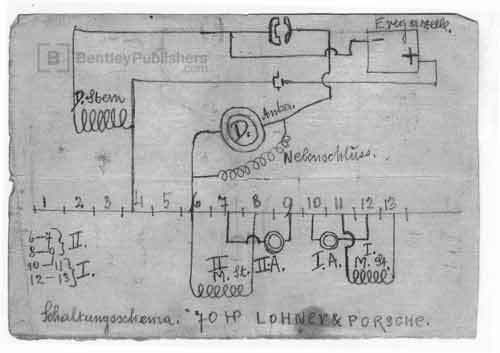 In neat sketches in his own notebook, Porsche worked out the electrical connections that would be needed to control the forward speeds of his powerful Panhard-powered Mixtes of 1905. Presented annually by the Society of Automotive Historians in recognition of outstanding writing and original research, the Cugnot Award is given to the best automotive history book published in the previous year. 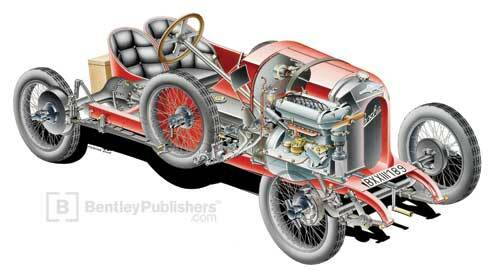 Cutaway drawing of the 1922 Austro-Daimler "Sascha" ADS-R. The ADS-R Sascha pictured here is the car driven by Alfred Neubauer in the 1922 Targa Florio.